This diagram shows how the records management process works and the key role of the retention schedule in determining where and for how long business information is captured. 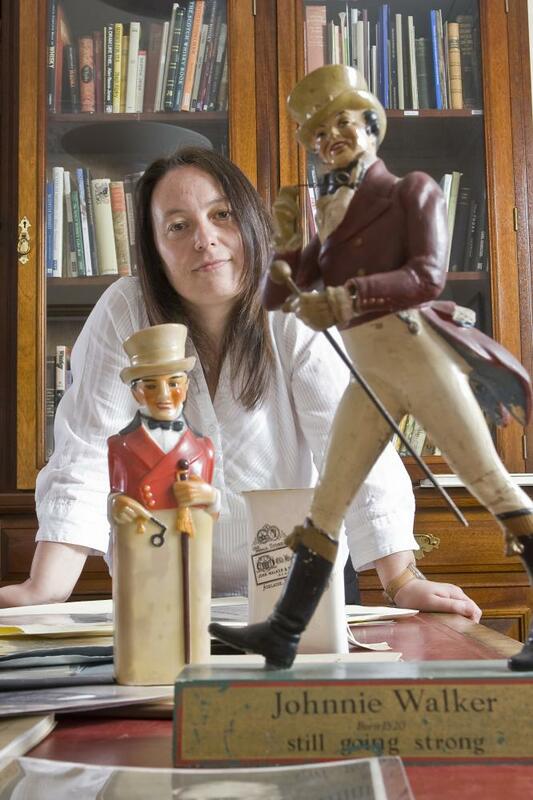 Christine McCafferty, Diageo Archive Manager, with items from the Johnnie Walker Scotch whisky collection in their research room. Image courtesy of Diageo Archives.